After far too many days of tense anticipation, the Game of Thrones saga shall continue this Sunday in the U.S. and Monday in the U.K. with season 6 episode 6, entitled ‘Blood of My Blood’. After the last episode ‘The Door’ completely drained us of all emotional energy as another fan favourite (or two) left for good, we’re hoping (most likely in vain) that this next instalment might not take as much out of us. But anyway, here’s what we know so far, plus some pretty pictures and videos in advance of the episode airing. – The ‘Blood of My Blood’ synopsis reads: “An old foe comes back into the picture. Gilly (Hannah Murray) meets Sam’s (John Bradley) family. Arya (Maisie Williams) faces a difficult choice. Jaime (Nikolaj Coster-Waldau) faces off against the High Sparrow (Jonathan Pryce)”. – In the land of Bravos, Arya finally must decide whether she can kill the innocent Lady Crane in order to finally earn her place among the Faceless Men. – Young Ned Stark is back. Actor Robert Aramayo is confirmed to appear in season 6 episode 6 on IMDb, while a recent story on him in the Hull Daily Mail (yup, we’re not ashamed to admit we dug deep for this one) confirmed: “He will appear again briefly in episode six before another significant showing in episode ten”. – Despite Hodor’s sacrifice, the trailer for the episode (which you can watch below) confirms that Bran and Meera won’t be home free yet. Matched with the original season 6 trailer, it suggests that it is Bran’s uncle Benjen Stark, whom we last saw guiding Jon Snow to the Wall seasons ago, coming to their rescue. 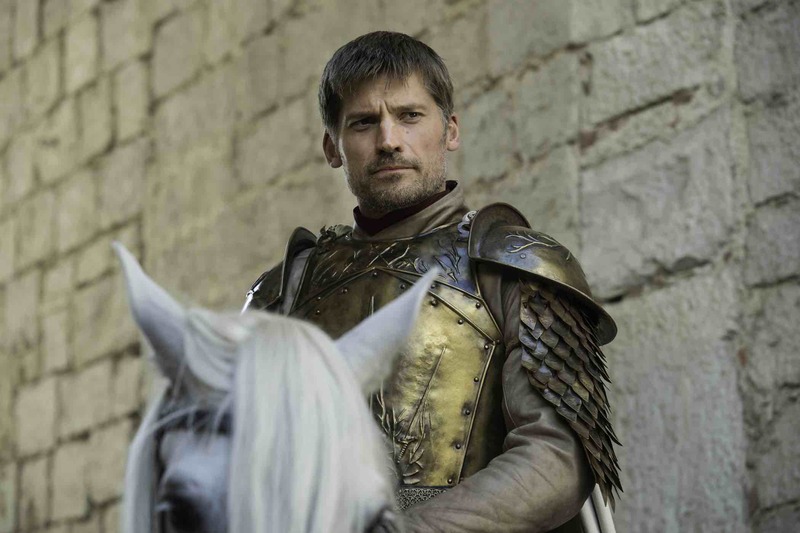 Jaime prepares to square off against the High Sparrow. 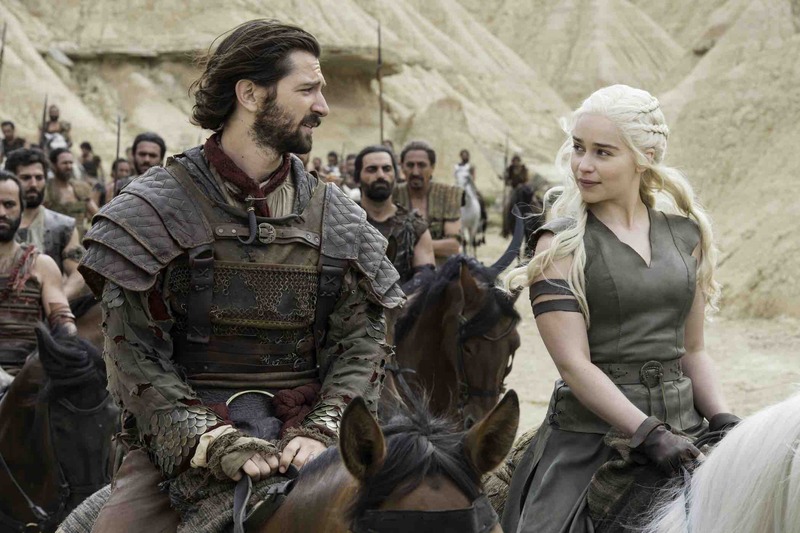 Daenerys and Daario look pretty pleased together as they chart their course to Meereen. 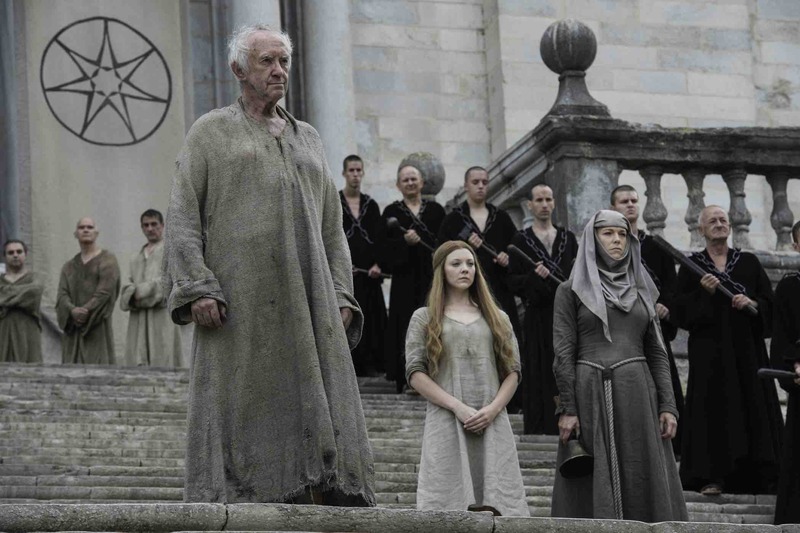 It seems Margaery’s trial is imminent, as the High Sparrow brings her out of her dark cell and into the great outdoors. 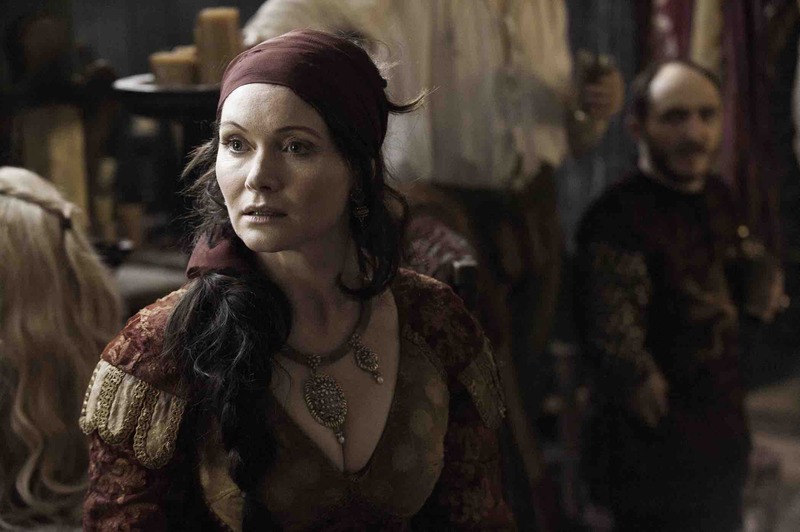 Will Lady Crane fall victim to the Girl Formerly Known as Arya Stark? 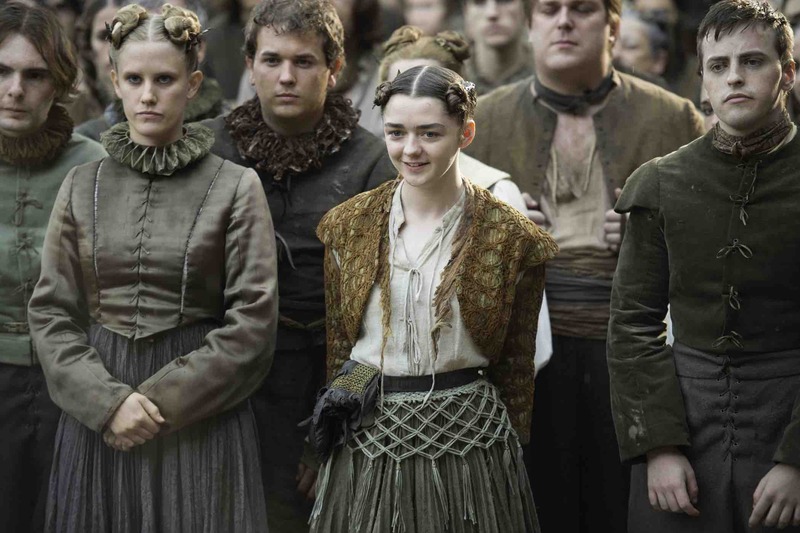 A rare smile from Arya as she seems to be enjoying a performance by the mummers. So, what does it all mean? Find out when Game of Thrones continues this Sunday on HBO in the US, and on Monday on Sky Atlantic in the UK. « 22 celebrities you forgot were in The O.C.